​Falmouth Yachtsmen Varsity took the lead late and defeated Lake Region 5-2 on Tuesday. The game was tied at two with Falmouth Yachtsmen Varsity batting in the top of the fifth when. Falmouth Yachtsmen Varsity took an early lead in the first inning. With one out in the first inning Robbie Armitage drove in one run when he doubled. Lake Region knotted the game up at two in the bottom of the third inning. Lake Region scored one run when PlayerD singled with zero outs in the third inning. Max Fortier earned the win for Falmouth Yachtsmen Varsity. He threw seven innings, surrendering two runs, six hits, striking out 11, and walking zero. 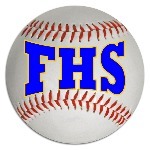 Griff Aube led Falmouth Yachtsmen Varsity with two runs batted in. He went 1-for-3 on the day.Lake Region had six hits in the game. PlayerD and PlayerA each collected multiple hits for Lake Region.